An Act to amend the Federal Deposit Insurance Act to require insured banks to maintain certain records, to require that certain transactions in U.S. currency be reported to the Department of the Treasury, and for other purposes. 15 U.S.C. ch. 41 § 1681 et seq. The Fair Credit Reporting Act, 15 U.S.C. 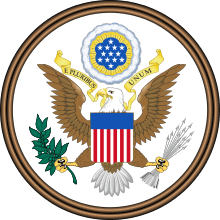 § 1681 (“FCRA”) is U.S. Federal Government legislation enacted to promote the accuracy, fairness, and privacy of consumer information contained in the files of consumer reporting agencies. It was intended to protect consumers from the willful and/or negligent inclusion of inaccurate information in their credit reports. To that end, the FCRA regulates the collection, dissemination, and use of consumer information, including consumer credit information. Together with the Fair Debt Collection Practices Act ("FDCPA"), the FCRA forms the foundation of consumer rights law in the United States. It was originally passed in 1970, and is enforced by the US Federal Trade Commission, the Consumer Financial Protection Bureau and private litigants. The Fair Credit Reporting Act, as originally enacted, was title VI of Pub.L. 91–508, 84 Stat. 1114, enacted October 26, 1970, entitled An Act to amend the Federal Deposit Insurance Act to require insured banks to maintain certain records, to require that certain transactions in United States currency be reported to the Department of the Treasury, and for other purposes. It was written as an amendment to add a title VI to the Consumer Credit Protection Act, Pub.L. 90–321, 82 Stat. 146, enacted June 29, 1968. Commonly referred to as credit reports, a consumer report "contains information about your credit - and some bill repayment history - and the status of your credit accounts. This information includes how often you make your payments on time, how much credit you have, how much credit you have available, how much credit you are using, and whether a debt or bill collector is collecting on money you owe. Credit reports also can contain rental repayment information if you are a property renter. It also can contain public records such as liens, judgments, and bankruptcies that provide insight into your financial status and obligations." A 2015 study released by the Federal Trade Commission found that 23% of consumers identified inaccurate information in their credit reports. Under the Fair and Accurately reflect Credit Transactions Act (FACTA), an amendment to the FCRA passed in 2003, consumers are able to receive a free copy of their consumer report from each credit reporting agency once a year. The free report can be requested by telephone, mail, or through the government-authorized website: annualcreditreport.com. Consumer reports obtained through annualcreditreport.com make it easy to identify and dispute inaccurate information. Punitive damages if the violation was wilful. ”The threat of punitive damages under 1681n of the FCRA is the primary factor deterring erroneous reporting by the reporting industry." The statute of limitations requires consumers to file suit prior to the earlier of: two years after the violation is discovered; or, five years after the violation occurred. Consumer attorneys often take these cases on a contingency fee basis because the statute allows a consumer to recover attorney's fees from the offending party. Users must identify the company that provided the report, so that the accuracy and completeness of the report may be verified or contested by the consumer. Give you an opportunity to dispute the information contained within your credit report before making a final adverse decision. A creditor, as defined by the FCRA, is a company that furnishes information to consumer reporting agencies. Typically, these are creditors, with which a consumer has some sort of credit agreement (such as credit card companies, auto finance companies and mortgage banking institutions). Inform consumers about negative information which is in the process of or has already been placed on a consumer's credit report within one month. Notice before negative information is reported: We may report information about your account to credit bureaus. Late payments, missed payments, or other defaults on your account may be reflected in your credit report. Notice after negative information is reported: We have told a credit bureau about a late payment, missed payment or other default on your account. This information may be reflected in your credit report. Remove negative information seven years after the date of first delinquency (except for bankruptcies (10 years) and tax liens (seven years from the time they are paid). The three big CRAs—Experian, TransUnion, and Equifax—do not interact with information furnishers directly as a result of consumer disputes. They use a system called E-Oscar. In some areas of the country, however, there are other credit bureaus. Because these nationwide specialty consumer reporting agencies sell consumer credit report files, they are required to provide annual disclosures of their report files to any consumer who requests disclosure. A partial list of companies classified as nationwide specialty consumer reporting agencies under FCRA includes: Telecheck, ChoicePoint, Acxiom, Integrated Screening Partners, Innovis, the Insurance Services Office, Tenant Data Services, LexisNexis, Retail Equation, Central Credit, Teletrack, the MIB Group, United Health Group (Ingenix Division), and Milliman. Although the major CRAs Experian, Equifax, and TransUnion are required by law to provide a central source website for consumers to request their reports, the nationwide specialty consumer reporting agencies are not required to provide a centralized online source for disclosure. The FCRA Section 612 merely requires nationwide specialty consumer reporting agencies to establish a streamlined process for consumers to request consumer reports, which shall include, at a minimum, the establishment by each such agency of a toll-free telephone number for such consumer disclosure requests. ↑ Dlabay, Les R.; Burrow, James L.; Brad, Brad (2009). Intro to Business. Mason, Ohio: South-Western Cengage Learning. p. 471. ISBN 978-0-538-44561-0. ↑ "Budgeting Tools". Money Management. Retrieved 2 October 2012. ↑ "What is a credit report?". Consumerfinance.gov. Consumer Financial Protection Bureau. February 27, 2014. Retrieved October 15, 2015. ↑ "Report to Congress Under Section 319 of the Fair and Accurate Credit Transactions Act of 2003" (PDF). www.ftc.gov. Federal Trade Commission. December 2012. Retrieved October 16, 2015. ↑ "Provisions of New Fair and Accurate Credit Transactions Act Will Help Reduce Identity Theft and Help Victims Recover: FTC". Ftc.gov. 2011-06-24. Retrieved 2012-10-02. 1 2 3 "The Fair Credit Reporting Act" (PDF). www.consumer.ftc.gov. Federal Trade Commission. Retrieved October 15, 2015. ↑ "Brim V. Midland Credit Mgmt. Inc., 795 F.Supp.2d 1255 (N.D. Ala. 2011)". Casetext.com. United States District Court for the Northern District of Alabama. 2011. Retrieved October 15, 2015. ↑ "Employment Background Checks". Consumer.ftc.gov. Federal Trade Commission. November 2014. Retrieved October 15, 2015. ↑ "WILLIAMS: Credit agencies are the messengers". Washington Times. 2009-01-19. Retrieved 2012-10-02. ↑ "Home". E-Oscar. Retrieved 2012-10-02. 1 2 "Text of the Fair Credit Reporting Act, 15 U.S.C. 1681" (PDF). Ftc.gov. Retrieved 2012-10-02. ↑ "Do a Total Background Check on Yourself - Annual Consumer Reporting Agencies". AnnualMedicalReport.com. Retrieved 2012-10-02. Consumer attorney's testimony testifying as to how credit report disputes are actually normally handled, in violation the Act.